Over the years, more and more businesses have moved their headquarters and operations to the Upstate. While it may seem that the Upstate is no different than other parts of the state, it does have one major economic advantage: the aviation cluster. 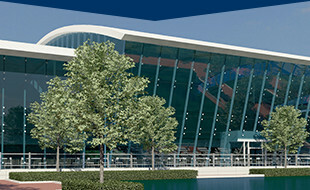 The aviation cluster is a group of airports that provide complementary aviation services along with a growing number of aviation-related companies. What’s unique about this group is that they thrive on collaboration, rather than competition. The airports included in the aviation cluster are: Greenville-Spartanburg International Airport, Spartanburg Downtown Memorial Airport, Greenville Downtown Airport and the South Carolina Technology & Aviation Center (SCTAC), which was formerly known as the Donaldson Center. The placement and varied services of these four airports has offered advantages that continue to positively impact the region’s economy. By 2007, more than 100 aviation-related companies were in South Carolina—with many of the largest companies located in the Upstate. The cluster of airports, aviation-related business firms and educational institutions has become a major force in the development of Upstate South Carolina’s economy over the years. In fact, according to Michael O’Donnell of the South Carolina Aeronautics Commission, aviation-related business in South Carolina represented $4.3 billion investment for the state in 2005. This included 65,000 jobs and a $74.5 million tax benefit. We are proud to be part of such a prominent group of businesses that contributes to the success of our state. To read more about the aviation cluster and our airport’s history, be sure to pick up a copy of Greenville-Spartanburg International Airport: Upstate South Carolina’s Gateway to the World, A History by Dave Partridge. It is the perfect read for your next flight!